Local Michigan-based agency is excited to expand its reach and offer comprehensive insurance solutions to area residents and businesses. Holt-Dimondale Agency has extensive knowledge and experience providing insurance solutions to Michigan residents and businesses. Michigan insurance agency, Holt-Dimondale Agency, is excited to announce the launch of its new website and interactive digital marketing campaign. This new and improved way of marketing is designed to advance the way the agency connects with, markets to, and serves its community. Holt-Dimondale Agency has partnered with Astonish – an insurance digital marketing, technology, and sales training company that specializes in modernizing the way the local insurance industry does business – to create an innovative, new online marketing strategy. The agency’s new marketing strategy features an exclusive “Virtual Insurance Office” meant to improve consumer engagement as well as provide the visitor with a personalized experience. The agency’s new website, http://www.holtdimondaleagency.com/, is divided into separate categories, making it simple for online insurance consumers to find exactly what they need. The ultimate goal is to make the online shopping experience both simple and educational for prospective and current clients. 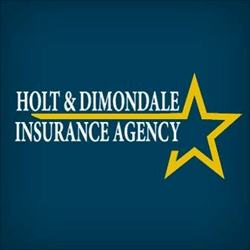 Holt-Dimondale Agency has extensive knowledge and experience providing insurance solutions to Michigan residents and businesses. They not only serve personal insurance needs, but provide specialty coverage for business of all kinds. The relationship that they build with their clients allows them to tailor insurance policies directly to the clients’ needs. To be a part of the agency’s exciting development, fill out a free quote form online or get social with the agents on various social media sites. Those interested can also give the agency a call by dialing (877) 319-4643. Holt-Dimondale Agency is excited to move forward with this initiative and looks forward to sharing the excitement and experience with the rest of its community!